One of the most popular websites on the internet is Reddit, it contains all kinds of useful stuff. Also, in here you will be able to find a lot of third party applications for Android. So, today we’re going to tell you about the best applications that you can Reddit. Now for Reddit used to have the name “Reddit Now”. The application comes with many features, but the most important thing about it is that it’s optimized for tablets. We assure you that not many applications out there have been adapted to work on tablets, which is a downside for them. Reddinator is an application that comes with some interesting widgets. This is truly one of the applications that should be installed by anyone who’s addicted to Reddit. The application can be customized according to your liking and it is very easy to use. You can also use multiple accounts with this application, which is one of the features that everyone would want on any Reddit application. Even if the application doesn’t come with Material Design, it still has a pretty nice cards interface. The application is also optimized for tablets, so in case you’re planning to look on Reddit from your tablet, you should try out this application. Using this application you will be able to comment, upvote, downvote and even add new threads. 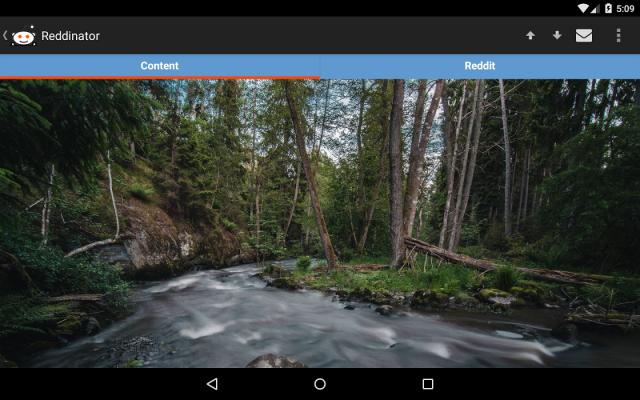 This application supports tablets and at the same time, you can also use it as a widget in case you want to keep updated with your favorite reddits on the homescreen. Currently Flow of Reddit is in pre-beta, so there are a lot of bugs. The application comes with YouTube support, which is pretty awesome. You can also vote up or down specific threads in different “subreddits”. This application is pretty interesting, as it allows you to watch videos from your favorite “subreddits” directly on your TV via your Chromecast device. Slide for Reddit is pretty awesome and it allows you to edit the color of the themes it comes with. Using this application, you will notice that it is very easy to view different threads in each “Subreddit” and you can reply and up/down vote these threads. 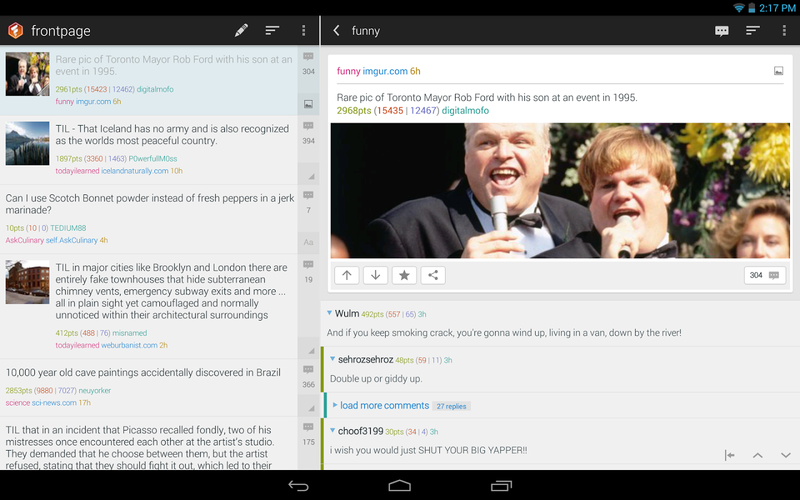 Relay for Reddit is another tablet-optimized application for Android. The application uses the dual-panel UI, which is pretty awesome and it also comes with some moderator features, which will allow moderators to even ban users. In addition, you will be able to log into multiple Reddit accounts.